Scientific Research, Safety, CDC-funded Lies And Lobbying, THR Advocacy, THR Satire, THR Business, Federal, Trademark, E-cig Taxation, Cigarette Taxation, E-cig Sales BansTo Adults, E-cig Sales Bans To Minors, Scapegoating And Punishing Youth, Vaping Bans, Advertising Restrictions, E-cig Packaging Regulation, Ecig Retailer Regulation, Junk Science, Propaganda and Lies. 2014 Gallup Poll: 5% of US ex-smokers quit smoking with nicotine patches, 3% with electronic cigarettes, 2% with prescription drugs and 1% with nicotine gum. Note that while Obama's DHHS unlawfully banned e-cigs in 2009 and has demonized them since, nicotine patches and gums have been subsidized, aggressively marketed and touted by federal/state/local health agencies and Big Pharma funded ACS, AHA, ALA, AMA, etc. for past two decades, as have prescription drugs for past decade. 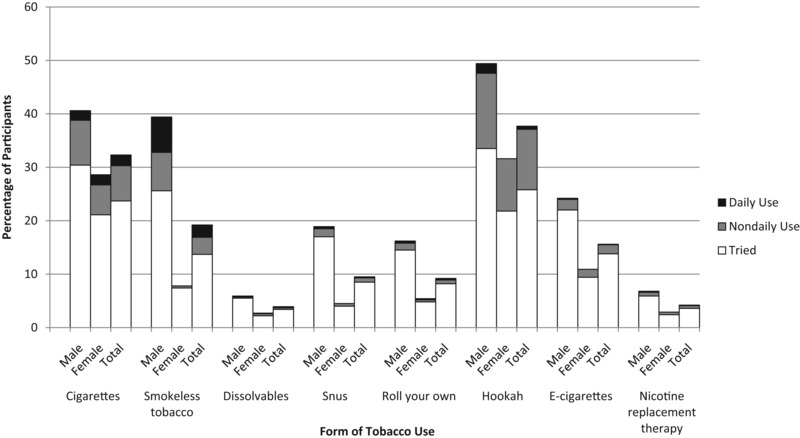 Study finds adult smokers who vape are far more interested in flavored e-cigs than nonvaping smokers, who are far more interested in flavored e-cigs than nonsmoking teens; refutes unsubstantiated claims that flavored e-cigs appeal to nonsmoking youth. On a 0-10 scale of interest for flavored e-cigs, the study found a 3.19 for adult smokers who vape, a 1.08 for adult smokers who never vaped, and a .41 for nonsmoking teens. Interestingly, while Single Malt Scotch was the least desired e-cig flavoring by adult smokers (1.01), it was the most desired e-cig flavoring by nonsmoking teens (.52), and was more desirable than Bubble Gum (.47), Cotton Candy (.49) and Gummy Bear (.44), three flavors e-cig opponents have repeatedly insisted appeal to youth. Survey of 191 college students who 'ever used' an e-cig finds 176 'only tried' e-cigs, 15 reported 'occasionally use' and 0 reported 'daily use'; finds NO evidence that e-cigs are gateways to cigarettes. Mike Siegel: Why are groups recommending a smoking cessation drug that has been linked to hundreds of deaths? Sally Satel op/ed in NY Times: Will the FDA kill off e-cigs? FDA issues Draft Guidance (for public comment) 'Policy for Low Risk Devices' that agency could/should (with a few small changes) also apply to e-cigarettes to promote public health and reduce smoking. In sharp contrast, FDA's proposed deeming regulation would protect cigarette markets and threaten public health by banning >99% of e-cigarettes now on market and by giving e-cig industry to Big Tobacco companies. FDA's CTP invites law school students to become unpaid interns to implement FSPTCA (that Phillip Morris and Big Pharma shills CTFK, ACS, AHA, ALA, Pinney Associates negotiated, agreed to and lobbied Congress to enact) to protect Marlboro cigarettes and Big Pharma products from market competition by smokeless tobacco and recently e-cigs. The Grover Norquist Show: Leave Vapers Alone! Lorillard joins Reynolds American in advocating unwarranted state taxation of e-cigs (that also requires licensure, imposes additional regulations, bans and costs on smaller e-cig companies and vape shops that compete against Big Tobacco companies). 53 page draft bill in Washington State (similar to HB 2795 from 2014) would protect cigarettes and destroy many e-cig vendors in WA; would tax vapor products at 95% of sales price; ban WA businesses (but not out-of-state retailers) from shipping/transporting vapor products sold via Internet or mail order; require WA Health Dept to create regulations for 'labeling and advertising' of vapor products, including nicotine content labels that must be verified by a lab certified by the WA Liquor Control Board and a warning regarding so-called 'harmful effects of nicotine'; ban sales of all flavored vapor products except menthol, wintergreen and mint; ban sale of vapor products (but not cigarettes) to anyone under 21; require licensure of all vapor product vendors; ban free sampling of vapor products; require child-resistant packaging for all vapor products; etc. Indiana bill (SB 384) would tax vapor products at $0.0083 per milligram of nicotine per milliliter of e-liquid (e.g. $5.98 tax on a 30 ml bottle of 24mg/ml nicotine e-liquid). Indiana bills (HB 1432 & SB 539) would require all e-liquid manufacturers (but not Big Tobacco or other cigalike e-cig manufacturers) to comply with many different regulations and obtain permit from the IN Alcohol and Tobacco Commission to sell e-liquid in IN, would ban the sale of all e-liquid products that aren'™t issued a permit. MI Gov. Rick Snyder urges youth to use/buy e-cigs by vetoing bills to ban their sale to minors, absurdly claims 'legislation does not go far enough', falsely claims legislation 'is not consistent with . . . approach proposed by FDA', falsely claims FDA proposed deeming regulation is 'legally-mandated', advocates FDA and state e-cig regulations that would protect cigarette markets from competition by e-cigs and threaten public health. Jeff Steir: Will Governor Snyder drop the ball on e-cigs? Illinois bill (SB 32) would ban youth from possessing 'alternative nicotine products', impose fines, many hours of community service and/or a 'smoker's education program' or 'youth diversion program' to be further deceived and moralized to about the negligible 'health consequences' of 'alternative nicotine products'. CASAA Call to Action urges Montgomery County (MD) vapers to oppose proposed vaping ban, public hearing scheduled for January 22. Prefiled Alaska bill (HB 40) would falsely redefine 'smoking' to include use of smokefree e-cigs, ban vaping everywhere smoking is banned. Indiana bill (HB 1169) would falsely redefine 'smoking' to include use of smokefree e-cigs, ban vaping everywhere smoking is banned. New York bill (A852) would require e-cig retailers to register with Health Dept. FDA funded Stan Glantz joins Big Pharma shills CTFK, ACS, AHA, ALA in opposing state e-cig sales bans to minors (as a strategy to lobby for FDA deeming reg to ban sales of nearly all e-cigs to adults), criticizes ACSH funding, while failing to ethically disclose more than 1000 times more dollars given by Big Pharma to e-cig prohibitionists. Yale Daily News misleads and scares readers about e-cigs, fails to ethically cite financial conflicts of interest by cited and quoted e-cig opponents. After lobbying to ban lifesaving e-cigs (but not deadly cigarettes) in Taiwan, John Tung Foundation now claims e-cig ban ineffective in preventing smokers from switching to vaping, now wants e-cigs regulated as tobacco to ban vaping.